The problem stems from misinformation on the part of the government. At a time, they stated that Boko Haram had been degraded. Later, they told us that it had been technically defeated. So, the public is wondering why a government that said it had defeated the sect, needs $1bn to fight the same sect it claimed to have defeated. Having claimed to have fought Boko Haram to a standstill, what do they need the fund for? I am sure they are looking for money to finance the 2019 election. It is an equivalent of N360bn, which can be used to reduce the rate of unemployment in the country. If the money is what is needed to defeat Boko Haram, the government should go ahead with its plan. The truth is that we cannot totally condemn the government’s action. Since the funds are needed for the good of the country, there is no problem about that. Questioning the $1bn for security equipment is not necessary. I am not sure it will specifically be used in the fight against Boko Haram. However, from a historical perspective, Nigerian governments always do anything whenever an election approaches. What Nigerians need to focus on is grassroots mobilisation that could be effective enough to elect people who would govern selflessly for the common good. It is very necessary considering the nature of anti-insurgency war required to defeat Boko Haram. 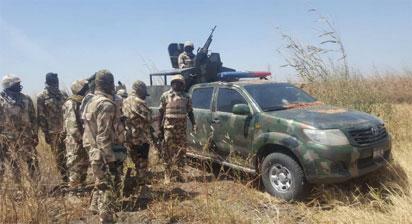 All hands must be on deck in the fight against insurgency. I suspect that some people are making money from the Boko Haram issue. It is now a commercial venture. It has become an ATM machine for some people. I cannot be convinced that there is no relationship between the 2019 election and the $1bn. The post $1bn for security equipment to fight Boko Haram appeared first on Vanguard News.